You want your tagline to resonate at a potential customer’s first glance of your company, to draw a customer in and to make them want to know more about you and what you offer. You want it to enhance your brand, not cause a reader to question what it is that you’re doing or selling. 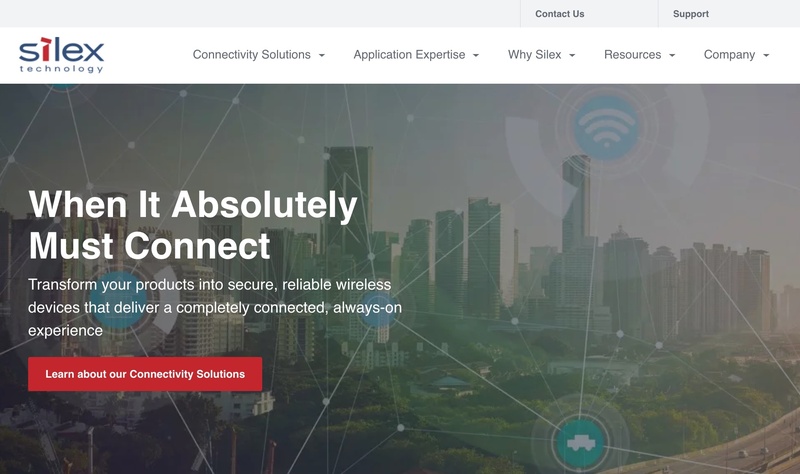 Silex sells leading-edge network technology. They wanted to show that their products deliver quality wireless connection. Their tagline, "When it Absolutely Must Connect", displays this while intriguing customers to want to learn more. Focus on what makes you unique. To do this, think about your last 5-10 customer wins. What was it that made customers ultimately choose to do business with you and not a competitor? Maybe it was your company culture, specific aspects of your technology, your service, or your process or approach. Define what those differentiators are, and use them in your tagline. TREW exclusively works with B2B companies that market to engineers and other technical professionals. Our tagline, Smart Marketing for Engineers, tells what we do and what makes us unique from other marketing firms. Most likely there are words that are overdone in your industry. Maybe it’s the idea of “value” or ”quality,” or even generic nouns like “tools” or “systems.” Leave these words out of your tagline. You only get a small phrase to make an impact, and using words considered jargon are a waste of space. Western Airlines - The only way to fly. Consequently, we know that there’s a way to fly and every airline thinks they’re it. The organizations aren’t willing to differentiate and none of the taglines are memorable. Later, Southwest Airlines revved up a campaign saying, “Southwest Airlines. THE low fare airline.” Though a blunt statement and a bold stance, Southwest picked a differentiator and stood by it, and consequently, they avoided the “way to fly” jargon and created a memorable position in the market. Seek not just to say the same phrase a different way, but to really decide what it is that makes your company different, and stand confident in that differentiation with your tagline. When your company offering is primarily a service, use an action verb to immediately bring your customers into what it is that you do for them. It would be easy to create a tagline that focuses on an end result, but if your value add is the way you approach a solution, convey that in your tagline. G Systems designs and build test and measurement solutions aerospace, defense and energy manufacturers. Their tagline helps show they are a measurement partner who can help drive results. They focus on the end result. A tagline that focused on the end results with no action verb (for example, “Quality measurement systems for you”) would lose the emphasis on the end result. 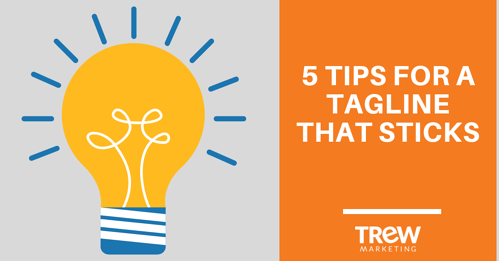 As a best practice, make your tagline 5-6 words or less. Keeping your tagline short will help it to be memorable, force you to hone in on your differentiator, and make it easy to integrate with your logo. 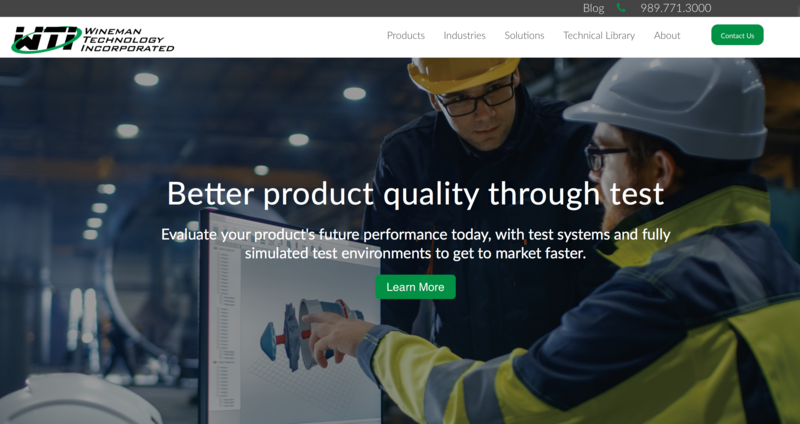 Wineman Technology Inc. also works in the test and measurement industry for automotive, aerospace and defense, and medical manufacturers. The concise tagline shows off the final result of working with WTI -- a better product. This speaks to customer's pain points while setting up WTI as the solution. Who is your target audience? Would these words capture their attention? Is it specific to your company, or could it easily be the tagline of any of your competitors? Does it contain words that are overused? If you offer a service, does the tagline explain what you help customers achieve? When you need a break from brainstorming a tagline, learn more about brand positioning and messaging development by downloading our free ebook, "Smart Marketing for Engineers: Build Your Foundation."